Essential oils have been used throughout history in many cultures for their health and wellness benefits. 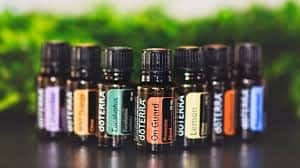 Modern scientific study and trends toward more holistic approaches to wellness are driving a revival and new discovery of essential oil health applications. dōTERRA® is a company founded on a wellness philosophy of healthy lifestyle choices and informed proactive participation in one’s own health-care alternatives. Take charge of your health care . . . empower your life! Visit Our website on doterra to find out more. doTERRA Yarrow|Pom delivers the topical and internal benefits of blue yarrow essential oil in a base of antioxidant-rich pomegranate seed oil. * This nutritive duo is beautifying to the skin and offers many benefits when taken internally. Add a few drops to Fractionated Coconut oil for a soothing massage. Add to a skin cleanser to promote clear-looking skin. Yarrow|Pom offers many benefits to the skin. This active botanical revitalizes aging skin when applied topically. Taken internally it may help to activate skin-protecting proteins that inhibit elasticity breakdown and promote collagen production. * It can be added to your skin cleanser or applied directly to promote the look of healthy, clean, and clear skin. Thanks to its skin smoothing and emollient qualities, this essential oil makes an excellent addition to massage oil, hair treatments, facial cleanser, and skincare preparations. To soothe tension, add a few drops to your favorite carrier oil to help create a soothing massage experience. Chamazulene, which gives Yarrow oil its brilliant blue color, is recognized for its soothing properties and ability to promote healthy immune function. * Beta-pinene, another component of Yarrow essential oil, has been researched for its ability to help improve mood when taken internally. * To take Yarrow internally, add 1 to 2 drops of Yarrow|Pom to water or tea.